North is Up? Chevron Directional Signs to the Rescue! How many times do you ask your class which was is North and a little kiddo points to the ceiling? 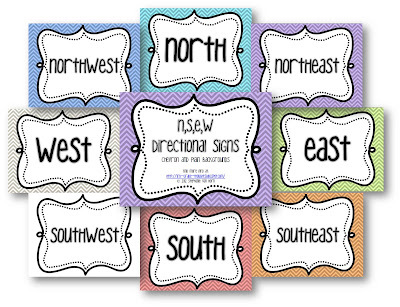 One piece of classroom decor that is always around are the directional signs: North, South, East & West. I place these on each of the corresponding walls and use them throughout the year. The other great uses for directional signs? 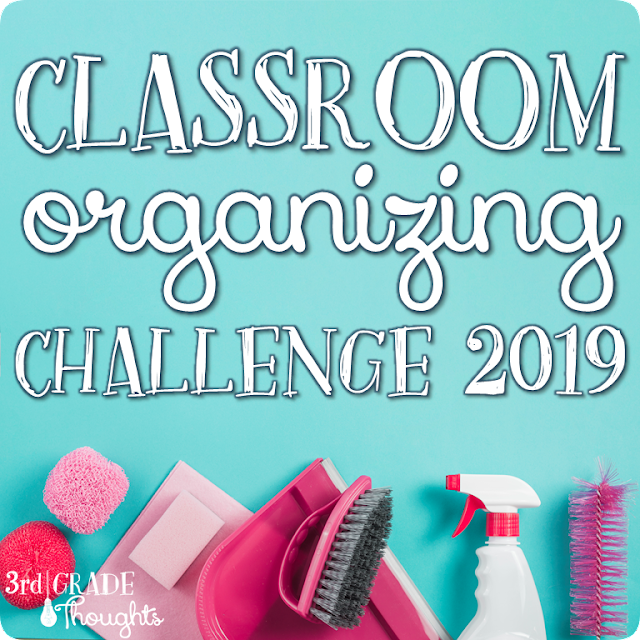 Back to School Room Scavenger Hunt- Where is the attendance sheet? On the West wall! These match all of my chevron products, including the oh-so-cute Welcome Flag Banner with the lovely chevron background in red, blue, green, teal, orange, gray and purple. Plus, there is a blank background if you would rather print on colored cardstock. Hope you are all enjoying your summer! Am I actually first? Or at least in the first two, that's so awesome (fingers crossed). 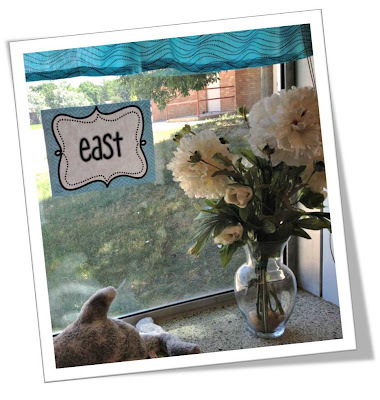 I would love your directional signs! Thanks so much for the opportunity! I am crossing my fingers too! I would just them them in my class! What a great idea to use them as team meeting places as well. Such great ideas. I love the gestures with the rules. Thanks for sharing. Well I'm not the first two to comment but I so love these. My kiddos have trouble with These and this will be an added addition to the classroom. Thanks for sharing different ways they can be used. What a great idea! And they look great too! Yay! Thanks for letting me know about the code at checkout on DC. I just updated my post and included and link back to your cute blog. You have some cute stuff going on over here! I'm pinning you now. BTW, I love your permission to pin button. Did you create that? Thanks again and best of luck on your DC project! I like your signs! I used them for inside recess as well. We call it N,E,S,W. 1 student would be "It". S/he would sit at his/her desk with eyes closed. The others would quietly and quickly find a wall. The student who was "It" would call out a direction. Anyone along that wall would sit down. The winner was the last one standing. When we were down to 4 students they would have to go to seperate directions. Love these!! Putting them on my wish list. 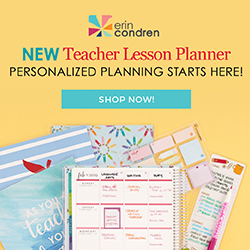 These are something that I don't have for my classroom yet that I would love! I'm adding them to my evergrowing wish list too! Haha...that is soooo true about north! 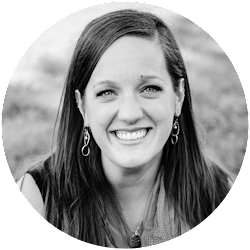 :) Just found your blog and am your newest follower!